Sony Pictures Animation has announced today that the previously-revealed animated Spider-Man movie from 21 Jump Street and The LEGO Movie filmmakers Phil Lord and Chris Miller has been delayed. The film was scheduled to open on July 20, 2018 but will now open on December 21, 2018 instead. The pair are masterminding the project, writing the treatment and producing the film, though they will sit out on directing as their next project will likely be the upcoming Untitled Han Solo Movie. Miller and Lord also previously wrote the treatment for Warner Bros.’ The Flash movie, which is being written and directed by Seth Grahame-Smith. 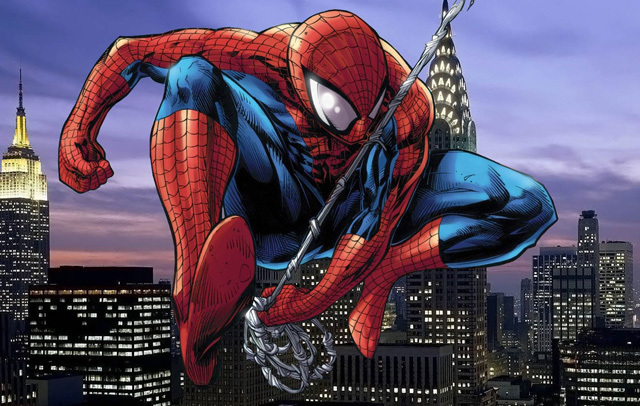 The Animated Spider-Man movie will exist independently of the other projects in the live-action Spider-Man films. Tom Holland will be playing the webslinger on the big screen and will make his debut as the character in Captain America: Civil War. The first solo film for the new webhead is set to debut on July 28, 2017 from director Jon Watts featuring a script by Vacation directors John Francis Daley and Jonathan M. Goldstein.